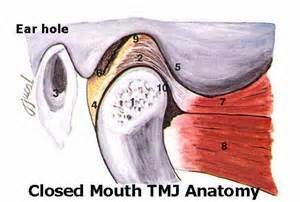 Many patients who have TMJ pain also have ringing or congestion in their ears. It is important to know that you may be experiencing ringing/congestion in the ears without TMJ pain too. Why is this? And how is it related to your joint? When you are experiencing Temporomandibular Joint Disorder, your joint can be compressed against the fossa upon which it exists. 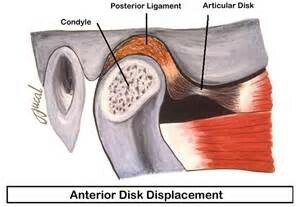 This compression pushes on your ear canal which can cause symptoms such as ringing in the ears, congestion, or ear pain. Davidian likes to provide a non-surgical, conservative treatment. 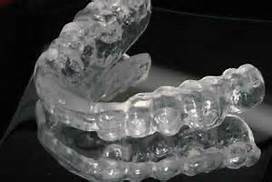 In many cases we recommend a custom-fit oral device, or orthotic, made of clear acrylic. This easy-to-wear orthotic fits over your bottom teeth. It is easy to speak with and not visible to others. Its main purpose is to eliminate muscle spasm and pain, reposition the lower jaw to allow space for the disk and correct parafunctional issues (clenching or grinding). We typically want the patient to wear the orthotics 24/7 for approximately 1 month and then reduce the wear down to 15+ hours per day, depending on the situation. Dr. Davidian’s process for treating patients that suffer from TMD is quite different than other general dental offices. We will refer you to an Orthodontist to place your braces; however, Dr. Davidian is the provider that finds the position the orthodontist will move your teeth to. She finds the perfect position by utilizing advanced dental technology such as, TENS (Transcutaneous Electrical Nerve Stimulation) and K-7 evaluation system. The K7 Evaluation System provides the dental clinician or researcher with three technologies for measuring, displaying and storing objective data on physiologic and anatomical status and function like jaw tracking, electromyography and joint sonography. This objective data enhances the Dr. Davidian’s diagnostic and treatment considerations with information not previously available. Both modalities that I use enable me to find the position for your lower jaw that is the most comfortable for your facial and neck muscles. Once this position has been discovered, Dr. Davidian will send your information to our highly trained dental lab in California, who also specializes in working with patients suffering from TMD. They will then provide Dr. Davidian with information that will allow her to make a fixed orthotic for you. The fixed orthotic will keep your lower jaw in its new position while the orthodontist moves your teeth. This is a predictable way to know what your end results will be once you’re finished with your orthodontic treatment.